This was almost a good book. There is much to love about it, and until the last 70 pages, or so, this was also an informative book. That was before the authors unleashed their true agenda against Obamacare, and a few other things not in keeping with their agenda of promoting fracking as the private enterprise answer to government subsidies, even as the government is being asked to fund the Keystone pipeline. 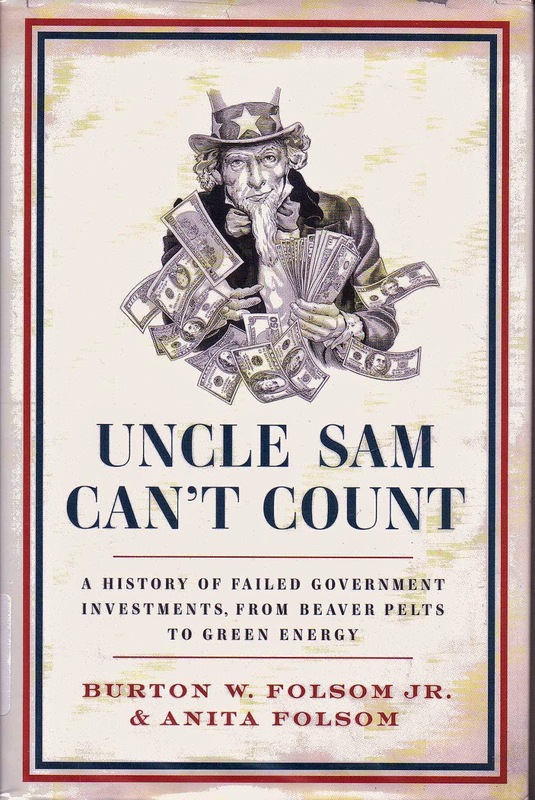 I love history, and for the first 100 or so pages this book truly rocked with the stories of failed government attempts to build canals, planes, guns; even trade in furs during the early days of the Republic. It was wonderful to read, all factually based and backed up by history. That was before we got to the 20th century and oil. From the moment Rockefeller enters as a hero the book goes downhill. There is a lot to be said concerning the accomplishments of the world’s first billionaire. But at the bottom of those accomplishments are the land grabs, and drilling sideways into a competitor’s well. But that never gets mentioned. To the authors, he was a visionary. The Great Depression is distilled into one bad decision at the end of President Hoover’s last year in office. The prosperity of the twenties is touted loudly, while ignoring the fact that the farm foreclosures and falling prices for agricultural produce were even then combining with the over production of automobiles by Ford, and the buying of stocks on margin, to create the biggest disaster in American economics until the “recession” of 2008. In the world of these two authors the only successful government project was the Manhattan Project, which produced the first 2 atomic bombs. The fact that those bombs killed less people for more money never gets mentioned, although getting a smaller plane for more money was an evil when the government was subsidizing Langley in the race to build the first plane. If this seems to be a strange and unequal analogy, don’t blame me. It is the result of the inconsistency of the authors in attempting to make their case. The TVA and the Hoover Dam are never mentioned at all in this book, even as the authors take careful aim at all of Roosevelt’s other Depression Era programs as ineffective. It’s pretty convenient to cherry pick the facts in order to obtain the conclusion you desire. Presidents Reagan and Bush, who first opened up the doors for ethanol; which is one of the biggest frauds ever, are both mentioned before the ball is passed to President Obama, leaving the reader with the impression that he is responsible for the debacle of using food for fuel. Ethanol saves neither fuel nor alleviates pollution. It simply wastes food and drives up the cost of everything. This is something on which the authors and I agree. The only difference is that I blame Reagan and Bush, who started it. If they think that Obama can end the farm and fuel subsidies on his own, then they are living in a dream world. As I said, there is much to like about this book. I just happen to like my history served up plainly, without the agenda. The funny thing is that until they started hammering me with that agenda I was sort of seeing things in the same light.